The real estate industry is now starting to embrace the value of online marketing and is in the process of learning the nuances of dealing with leads coming from the internet. Online leads have a very short attention span. They tend to go from website to website in a matter of minutes. Even though five minutes sounds like an excellent response time, in reality, it is an eternity for the person browsing. In a matter of a minute he could already be four or five pages away from your listing or website. We can make an analogy to this with the concept of going fishing. When a person goes fishing, he spends time to prepare, spends money on equipment, dedicates a specific time frame for the activity, but if the person is not paying attention at the key moment when the fish bites, all this is for nothing. It is the same with online leads. You can do everything right to generate the lead and funnel it into your grasp, but if you don’t respond when the lead is interested, you will lose it and your efforts would have been for nothing. Hence, it is vital that if a person is going to put out all the effort to generate a lead, that they address it properly in a timely manner. According to studies conducted by Professor Oldroyd a Faculty Fellow at MIT and Inside Sales there is a direct correlation between the speeds of response to your online inquires and the results of your online efforts. Leads convert 22 times more often when you make contact within the first five minutes. 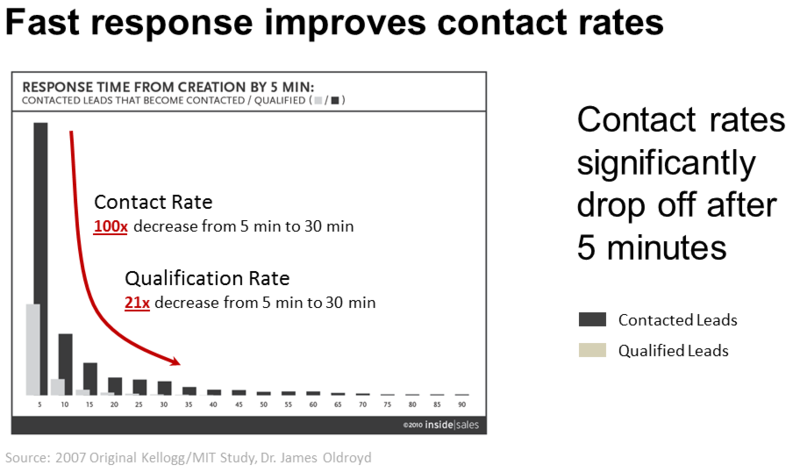 Contact rate significantly drop after five minutes – 100 times decrease from 5 minute to 30 minutes. Simply put: the faster you connect with your incoming lead, the higher chance you have to capture it. This will result in a much better return on your online marketing efforts and in turn help increase your overall revenue. So how to convert more web leads? Make sure that there is someone in your organization available as often as possible. You never know when a lead will come in. – Your customers are at the peak of their interest when they are approaching you. They are eager to get more information and you need to capitalize on this by being available to serve their needs. This is the key moment when you first establish a relationship with them and as we all know, first impressions are key. LeadSecure allows you to make sure you establish the best relationship possible by offering instant connectivity through a video chat. This allows you to establish a more trusting relationship than a regular phone call ever would. We can’t be available 24/7, this is a give in, but we can take steps to make sure we still have a high chance of retaining a lead. For those moments that you are not there, make sure you have a well-crafted follow-up process which makes it easy for the lead to reconnect with you at a later time. LeadSecure has an offline messaging feature just for this purpose. We allow the customer to leave a message with any questions they may have and set an appropriate time and day to be contacted. If you are a brokerage with multiple agents, passing the lead to an available agent is a great way to make sure that it stays in your organization. LeadSecure offers call routing as an excellent opportunity to react in a timely manner. If one of your agents is busy with a client, you can easily re-route the call to an available one. 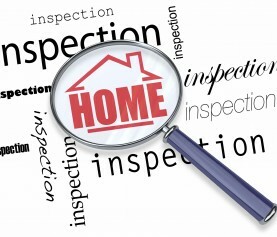 You can also incentivize agents by routing the incoming leads to the best performing agents.